DESCRIPTION: HVAC and network service equipment upgrades required significant modifications to the normal and essential power systems. 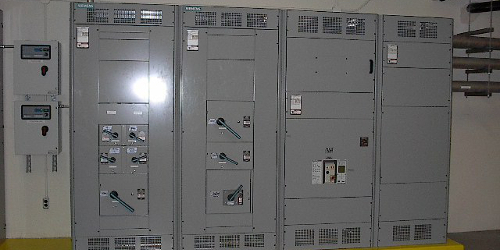 Along with the replacement of the essential power system generator, automatic transfer switch and switchgear, extensive communications interties were designed for the monitoring of the generator equipment from the remote Operations Center in Colorado. The existing fire alarm system was modified due to the extensive renovations of both building and HVAC systems. Supplemental grounding systems were designed to establish less than 5 ohms of resistance.